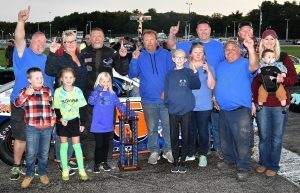 Lee, NH – Glen Luce of Turner, Maine pulled away from the field in the late stages of Friday night’s Pro All Stars Series North Super Late Model 150-lapper at Lee USA Speedway in Lee, New Hampshire to post his second win on the touring series this season. Luce started from 14th position, patiently making steady progress through the field as Scarborough, Maine’s Garrett Hall set the pace for the first sixty laps. Six-time PASS North champion Johnny Clark took over and looked like a possible winner before Luce and 12th-place starter Travis Benjamin moved into contention with about 30 laps to go. 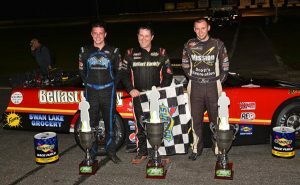 Oxford, Maine — Reigning Pro All Stars Series North Champion DJ Shaw of Center Conway, New Hampshire claimed victory, and a preferred starting position in the upcoming Oxford 250 National Championship event, in the 100-lap ‘Open’ Super Late Model main event Sunday night at Oxford Plains Speedway. 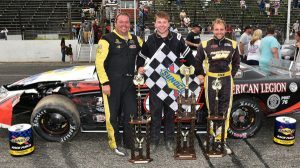 The Open, a non-points race awarding provisional starting spots to the rich annual Oxford 250 classic to five drivers in a final chance to conditionally lock into the field before the eve of the Super Late Model classic, and the boys were racing hard throughout the short, 100-lap sprint to the checkered flag. 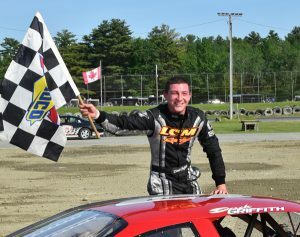 Hermon, Maine – Derek Griffith of Hudson, New Hampshire nailed down his first-ever Pro All Stars Series Super Late Model victory Sunday afternoon in the Hight Chevrolet Buick GMC 150 at Speedway 95 in Hermon, Maine. 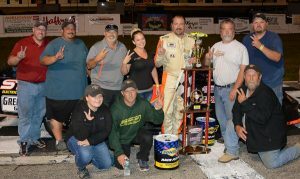 Griffith and his LCM Motorsports 12 car pulled away from the pack in the closing laps after an unusually-competitive battle saw five different drivers lead – many on more than one occasion – over the first 100 circuits of the tricky, 1/3-mile oval track.